Whomp whomp. There're no Kyle Rayners for sale. After Hal Jordan was possessed by the fear-entity Parallax and destroyed the Green Lantern Corps, Ganthet, the sole remaining Guardian of the Universe, chose Kyle Rayner to become the fourth human to wield an Oan power ring. 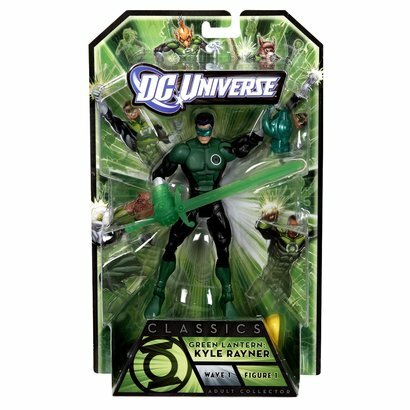 Kyle helped to restore the Green Lantern Corps and purge the influence of Parallax from his fallen predecessor, earning him a place in the elite Green Lantern Corps’ Honor Guard. This figure contains 23 points of articulation. It includes the right leg of Arkillo. Has a wonderful sword accessory and one of the best DCUC figures. Its a must have green lantern figure.